While travel writers and Instagram influencers feverishly embrace Snapchat for its compelling visuals and real-time storytelling capabilities, destinations have been much slower to warm up to this popular social app. Why is that? During roundtable discussions at a recent Travel Media Association of Canada event, many industry members shared their challenges and questions around the app, including Snapchat’s automatic content deletion, millennial-only demographic and lack of analytics. But use of the app is growing exponentially. According to Snapchat, more than 60% of 13- to 34-year-old U.S. smartphone users participate on Snapchat, raking in more than 10 billion video views every day. The app encourages sharing real-time, authentic, live stories in a more compelling way than any other social platform right now, and as such, presents new opportunities for destination marketers to engage with a younger demographic. So what does this look like in practice for a destination and its operators? 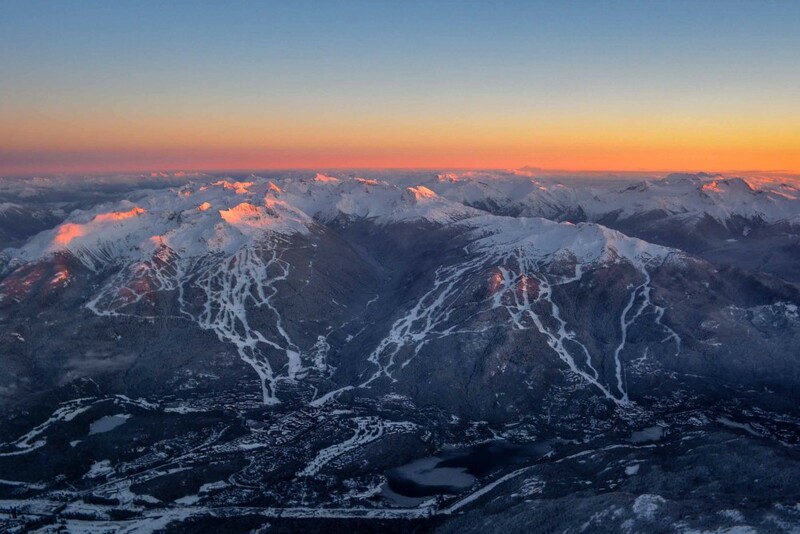 Whistler Blackcomb (Snapchat: whistlerblckcmb) is the number one-rated ski resort in North America. It also happens to be considered an early pioneer of the app, and began Snapchat a year ago, “begrudgingly at first,” says Nina Arnold, Whistler Blackcomb’s Digital Brand Strategist. That some of Whistler Blackcomb’s key influencers and athletes were actively using Snapchat really cemented its value as a live storytelling platform. The WB marketing team was hooked. In addition to being able to share real-time content, Whistler Blackcomb realized that Snapchat allows people to showcase a multitude of authentic experiences. “You start to realize the whole platform is about that one-on-one communication, and what people are doing in the exact moment,” Arnold continues. “There’s no Photoshop. There are no photos from yesterday from that fantastic photographer. One challenge from a marketing is perspective is that (for now), Snapchat stories cannot be pre-scheduled. All content must be captured and published live from a smartphone. While this ensures a story’s authenticity, using it does require a physical body on the ground to capture and post in real-time. How do Whistler Blackcomb manage this? Members of its marketing team share these tasks, along with an intern. And while the snapping occurs in real time, the stories are well-planned. Whistler Blackcomb begins each week with detailed storyboards to map out photos, videos, and the narrative, including where it will position any emoticons. These pre-production measures help keep everyone focused and efficient, while also producing high-quality content. Bandwidth is indeed an issue when one of the biggest concerns for companies using Snapchat is that the content they share only lasts 24 hours before disappearing. How does Whistler Blackcomb get around this? Arnold says that informing your visitors that you’re on Snapchat also helps. “We find it’s like Periscope – you’ve got to get people to the platform.” She says that even though the content is short-lived, it still helps create a “sense of urgency” that keeps potential visitors engaged. In addition to presenting opportunities for destination marketers to engage with and provide real-time storytelling to a younger demographic, destinations can also use Snapchat to deliver customer service and foster one-on-one relationships with their current and future visitors. As more tourism operators prompt social sharing through Snapchat, DMOs need to be aware that more of their visitors’ stories are moving onto this platform. Download the app to your smartphone and claim your Snapchat handle. Experiment with “snapping” by taking photos and videos from your destination, and uploading them to “My Story”. Publicize that you’re on Snapchat. Share your Snapcode and your Snapchat handle on your e-newsletter, on email signatures, internally and across social channels. Regularly remind people about your content.